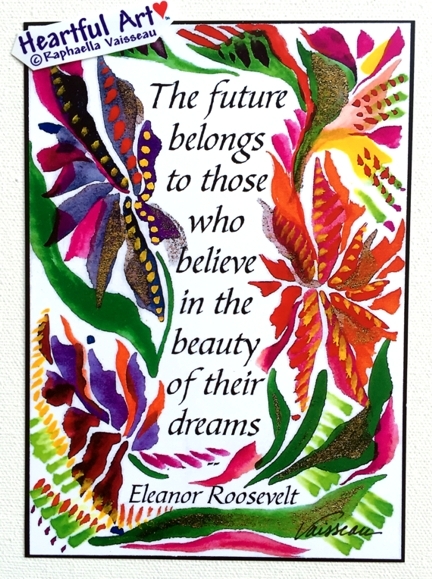 Poster or print of Eleanor Roosevelt's famous quotation, "The future belongs to those who believe in the beauty of their dreams" with art by Raphaella Vaisseau. This poster is great as teacher classroom decor and is a beautiful gift for a graduate, an entrepreneur, or anyone you'd like to support and encourage to believe in themselves and their own dreams, including yourself. Believe in yourself. Dream big. Live fully. Love yourself.